about - Website of tollboothtv! Tollbooth TV is a reality TV and documentary production company founded by Kevin Lee on the principle that "real reality is better than scripted.” The company is focused on creating high-concept formats, documentaries and ensemble docuseries. Lee began his Tollbooth operation in 2008, after creating the groundbreaking non-fiction series, Murder, for Spike TV. Tollbooth recently produced the survival competition series Stranded with a Million Dollars for MTV and the comedic docuseries Coach Charming for TLC. The company’s first series, Deion & Pilar: Prime Time Love, aired on the Oxygen Network in 2008. 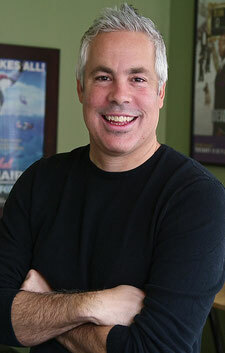 In between, Tollbooth produced programming for Spike TV, E!, VH1 and the Food Network. Prior to founding Tollbooth, Lee directed two nationally-broadcast documentaries. He was also the Executive Producer and Show Runner of The Simple Life and The Rebel Billionaire: Richard Branson’s Quest for the Best, both for FOX. Lee has also served as the Executive Producer and Show Runner of Bravo’s The Real Housewives of Orange County and MTV’s The Real World. John Davis joined Tollbooth as a partner and Executive In Charge in 2015. Prior to that, Davis was the Executive In Charge for Kitchen Nightmares for FOX, Sport Science for ESPN and Stunt Junkies for Discovery. Kristen Dotto joined the company as Vice President of Development. Prior to Tollbooth, Kristen served as Senior Director of Development for Maverick Television USA, where she developed Shaunie’s Home Court for VH1 and She’s in Charge for TLC.